Despite the many ups and downs we’ve been through in 2017, we take time to celebrate our accomplishments throughout this year and to relax with our families and loved ones. From helping rebuild Puerto Rico to the passage of Intro 1447, we have had a great year of both charity and political gains for safety in the city. Our union members consistently inspire me with their passion to help their fellow American and their pride in the work they do. We are the most qualified carpenters in the area and there are countless members who volunteer their time, expertise, and money for the less fortunate. I am so thankful that our union is committed to helping those in need, whether that means donating gifts in our lobby or providing their expertise to rebuild homes for veterans or those affected by natural disasters. Just like any other year, 2017 has had its ups and downs, but we have always had our union to fall back on. This year has really shown me how great our union is with so many members stepping up to give back. 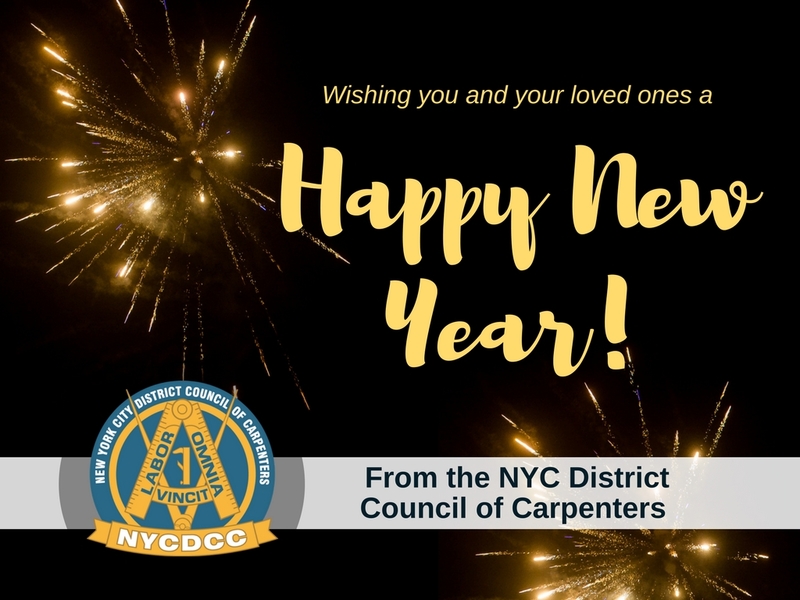 It truly is an honor to represent this union, and I thank you for giving me the opportunity to represent the New York City District Council of Carpenters again this year. I wish you all very happy and healthy holidays, and I look forward to working with everyone in 2018!